Choose and customise from our most popular website themes and our expert team will have your website ready to go within a week. Need a fresh new logo made or snazz up some tired old content? With two simple plans to choose from, you can’t go wrong. Our graphic artist can create you a logo in no time, just give us a rough idea of what you want. What if I don't have (or want to improve existing) content? What is a domain or hosting and why do I need them? A domain name is what you type in to access a website (eg: www.mywebsite.com) and allows people to easily remember how to get to your website. Website hosting is the physical storage where all of your website files (text, pictures, etc) are stored, safely tucked away on a server somewhere in the cloud. If the internet was a large shopping center, the domain is the signboard out the front of your shop & the hosting is the actual room your shop is located in. How long will my domain name last? Your domain will be active for one year, after that you will need to pay a yearly fee to renew your domain name. If you don’t pay the renewal, that name won’t connect to your website anymore & worse, someone else can buy it and use it for their own website. How long will my website hosting last? Your website will be hosted for one year and after that you will have to pay a yearly fee for hosting. If you do not pay the renewal, all of your website files become inaccessible & eventually get deleted. How much are yearly domain & hosting fees? Your domain name will cost $19.00 per year and your hosting will cost $129.00 per year to renew. You will be sent an invoice 4 weeks prior to renewal being due, if you do not renew your domain and hosting they will expire and your website will become inaccessible and possibly irretrievable. What if I want a Facebook (or other social) page? Other social media pages can be set up on request, please contact us for further details or quote. Step into the world wide web with no confusion. Naomi will answer any questions you have about templates, content, logo design and make sure you are 100% happy with your new website. Rohan is an advanced web developer who will have your new website up and running in no time, ensuring that it is all you hoped for. Victor specializes in e-commerce, design and website development ensuring your new website is responsive and ready to wow your target market. We take all the guesswork out of building your business website, ensuring that it looks great and potential customers can find & use it easily. To get your business from an idea on paper to the world wide web, so you can expand your reach to millions of new potential customers. 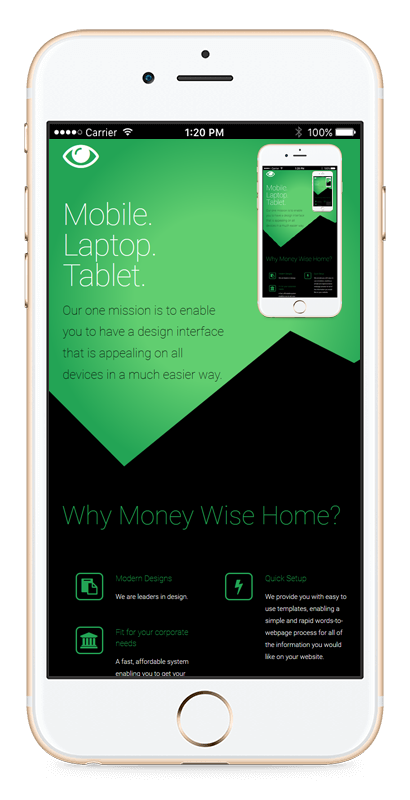 Our one mission is to enable you to have a well designed interface that is appealing on all devices. We have plenty of themes to choose from and are leaders in design. A fast, intelligent system enabling you to get your business online swiftly. Our simplified system takes all the stress out of putting your business online. We provide you with easy to use templates, enabling a simple and rapid words-to-webpage process for all of the information you would like on your website. 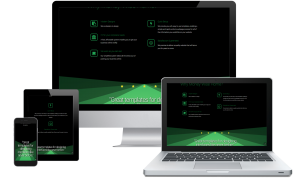 We promise to deliver a quality website that will serve you for years to come. "Great templates for designing interfaces like never before."